The Pilots are running as we speak. It's a shame that the UP athletics web site couldn't even muster a story previewing the national meet. The men's cross country team is the second-most successful team on campus and probably the most successful this season and yet they can't even get any publicity from their own athletic department. Oh well. At any rate, any finish in the top ten would be good. Anything above 6th place would be fantastic. We had a guy at 21st and Dunbar at 35th. 8th place. Lars E was 6th man. Fauble and Perry went 4 and 5. Both were under 31 minutes which is a pretty good day for a pair of redshirt frosh in Terre Haute. Woodless! wrote: 8th place. Lars E was 6th man. Fauble and Perry went 4 and 5. Both were under 31 minutes which is a pretty good day for a pair of redshirt frosh in Terre Haute. After the WCC's, Coach Rob was predicting (hoping for) a 7th place at the Nats. Our future looks bright; well done men! Malde should have been the 4th man and not the 6th man. If he would have run as he had earlier in the season and had been our fourth man, we could have finished a couple of spots higher. It's a shame Kipchumba is a senior as we will have trouble finishing higher than 8th losing him to graduation. The good news is that we have three or four very young runners who look to be improving rapidly. Barring injuries we could very well be a top ten team next year as well, but I think the podium finish will continue to elude us. Redshirt freshman Scott Fauble extends the University of Portland’s streak of 21 years participating in the NCAA Division I Men’s and Women’s Outdoor Track & Field Championship this week in Des Moines, Iowa. Fauble qualified in the 10,000m with a time of 30:12.64 at the West Preliminaries on May 24. The men’s 10K is scheduled for Wednesday, June 6 at 6:45 p.m. (PDT). Fauble qualified for the national championships with “one of the gutsiest races by a UP runner ever,” according to head coach Rob Conner. By catching the leaders in the final laps, Fauble finished strong to secure a spot in the national spotlight. Conner is always so quotable. Usually it ends with "ever." Too bad about Bassett not making it. pilotram wrote: Too bad about Bassett not making it. 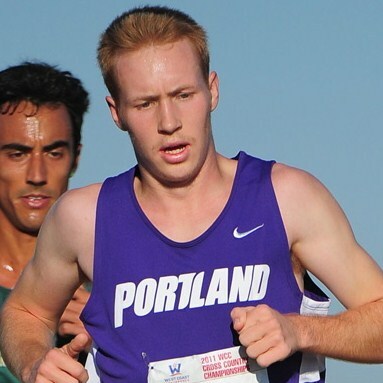 Yea, Jared Bassett finished 15th in the steeplechase for the University of Portland. He finished in 8 minutes, 56.93 seconds, just over 5 seconds out of 12th place, the final qualifying position.